Our press office spoke to Ilya Kutepov, who’s been a national hero during the World Cup, but missed the start of the season due to injury. Ilya recovered just recently - and is available for selection again. 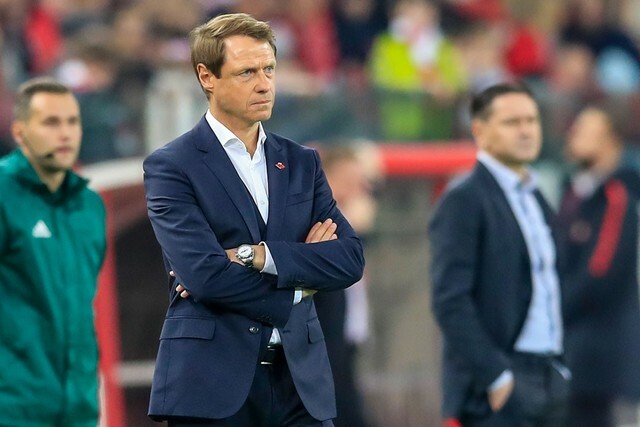 The World Cup is behind you, now is the time to give your all for Spartak. — What would you say about Ural? — It’s a strong team. It won’t be an easy game. — Spartak generally have a hard time against the bottom half the table. What’s the reason for it? — We are yet to figure it out. But it’s no secret teams approach the games against us with a special attitude. That plays a part. — The Arsenal game was your first one after the World Cup, you were out with an injury before then. How was your first match after such a long break? — I missed 3,5 months, it was tough to last for 90 minutes, physically first of all. But I’m fine now. I’m ready to give my all, work at 100%. I understand I still need to work hard to find my best level though. — Was it psychologically hard to be left without football after such a massive event as the World Cup? — It was. But unfortunately I couldn’t do anything about it. I needed surgery, there was no other way. I had to accept that. — After the Croatia game fans were stunned to see the photo of your leg with a severe bruising. How did you play through it? — It wasn’t a serious injury. Just a scratch. (Smiles). — The photo became a symbol of how much the national team has out into the tournament. — Undoubtedly. I still think about the World Cup. How my teammates have fought, how they wanted to make the entire country happy. But the cup is history now. Life goes on, we have new challenges. For me, it’s at Spartak first and foremost. We need to stabilize the situation. — You watched the first games from the sidelines. Why do you think the results weren’t consistent? — I was out of the team for a long time, haven’t trained, so I can’t make a definitive judgement. A certain decline took place, obviously. I hope we’ll get over it quickly! There’s always a lot of noise around Spartak. — There’s a lot of noise around Spartak recently, down to different reasons. Do you think the club is unique in this regard? — There’s always a lot of noise around Spartak, because it’s a big club, things linked to it happen constantly. I’m not just talking about rumours or criticism. That’s the way it is, it’s not surprising. — No other Russian club is monitored this closely those, isn’t it? — That’s because people who support Spartak are everywhere. Wherever you go, in any town, village, shop or gas station, you can find someone who supports Spartak. — Does it feel like pressure, or are you used to it? — Not pressure for me, it’s normal. — You haven’t played against Rangers, but you probably felt the atmosphere at Ibrox. Do such games help the team unite? — It’s a stadium that has all the ingredients for a proper football game: perfect pitch, incredible atmosphere. It’s a classic British stadium, soaked in history. It’s like a museum in a sense, it’s stylish. I have seen something of the kind at Anfield last season. The trip to Scotland also brought back memories about the trainee programme I was part of when I was young, together with Roman Zobnin. — Would you say the British fans are unique in how they support their teams? — Sevilla fans certainly made an impression last season. Our stadium is also filled with great supporters! They were heard loud and clear in Glasgow too. The difference was we generally have somewhat calmer supporters at the central stands, and Rangers fans went all out, even the elder ones. I haven’t yet worn my master of sports badge. — You have been a regular at Spartak for over two years now. Do you get the feeling you are a veteran of sorts? — No, I don’t even like this word. I’m just a player at Spartak. — And the success at the World Cup and the subsequent visit to the Kremlin to meet the president - have these added weight to the team? — It was nice, but like I said, the World Cup is history now. No one will laud you for deeds past. It’s important to prove yourself again now, train hard. — Where do you keep your Kremlin medals? — At home, displayed in a prominent spot. The sports master badge included. — Have you put your badge on already? — During the World Cup the Konoplev Academy issued a plea for help - it’s the one where you, Zobnin, Dzagoev graduated from. Was it painful to see? — It was, they were the ones to make us pro footballers. It was one of the best academies, but then it all went downhill… The infrastructure there, the personnel - they were top notch. We have few such regional academies and that’s a problem. Everyone has to come to Moscow. But it’s an ongoing process. I can’t speak for the entire country, but when I go to Stavropol I monitor the situation, try to help kids. I can see academy football is getting better there: there are more good coaches, more kids join. I think the World Cup played a part here. — And still a couple of public scandals occurred recently in our football landscape, after the summer fairytale of the World Cup. Do you think these can scare people off? — No, I don’t think it will. Everyone is doing his job. Including journalists, who try to earn a living as best they can. But it’s normal for professional sports. Scandals will endure, as will people’s love for football. — Are you planning to open an academy of your own in the future? — I haven’t thought about it yet. But I definitely won’t name it after myself. 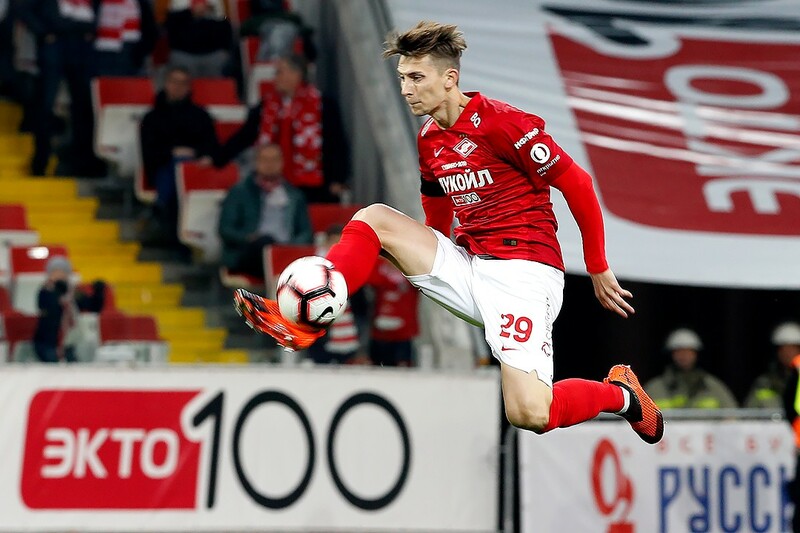 — This season quite a few players from Spartak-2 play regularly for the first team: Maksimenko, Rasskazov, Ignatov, Lomovitski. You have worked your way up the same way. Would you say it works? — It’s nice to see your own players join the first team. I have been at Spartak-2 for a brief period, when it was only just taking off. A lot of people criticized the project, and still do. But I’m sure it’s for the good. It gave me the opportunity to meet people, to play in the first and second divisions. People always want results here and now. But it doesn’t work like that, everything takes time. 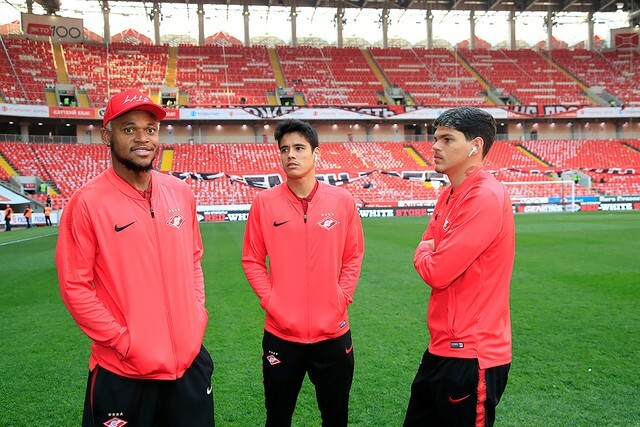 I would have a much harder time making the first team without practice at Spartak-2. Maybe I wouldn’t have made it at all. 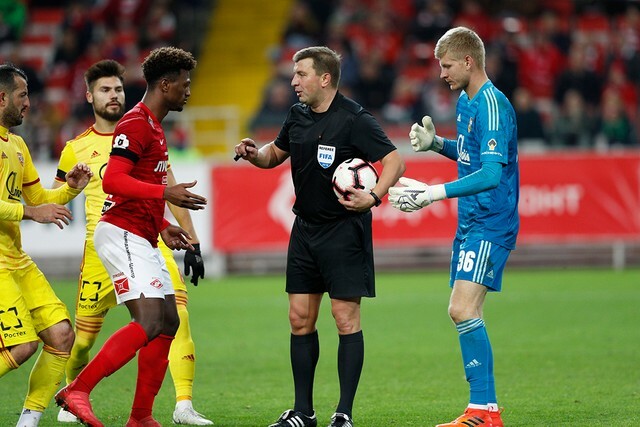 — Quincy Promes left the team in the summer, who was undoubtedly a leader in the last couple of seasons. Do you miss him? — Quincy was one of our own. Of course we miss him. I now follow Sevilla, know that he scored his first goal there. It was his decision to go to Spain. It’s up to him, he has a sound head on his shoulders. We can only wish him luck at the new club. — Which foreign player would you say adapted the most? — Everyone did! Including the Latin-Americans, who study Russian with pleasure. Roman Eremenko seems to know every language! Gigot I haven’t played with because of injuries, but I know him, he’s a good lad. — Eremenko used to play in Serie A. Everyone knows you follow the league. What would you say about Ronaldo’s transfer to Juventus? — It’s a big bonus for the league, great for PR. I do indeed follow Serie A. Maybe I’ll visit Parma or Milan in winter. Maybe someplace else. But don’t think of me as a huge Italy fan. Russian culture is closer to me. I was less serious when I was younger. — You had a lot of time on your hands when you recovered from the injury. Did you have the chance to listen to, or read, something new? — My music preferences haven’t changed, I still like to listen to French rap. As for reading - I’m brushing up on general’s Alexey Ermolov letters. It’s interesting to immerse yourself in Russian history. The older I get, the more I want to learn something of the sort. I was less serious when I was younger. — Did you manage to spend more time with your family while out injured? — Yes, I devoted the first three weeks to my wife and son entirely. Now when I’m back to full training, when I have to go to games and such, it’s a bit hard, I’m used to being around my relatives. It’s good to be at home, but I love football too - it’s my life purpose after all. — How’s your son doing? — He’s doing great, wants to visit the stadium already. But we’ll wait for a bit here. It’s easier for me when my family’s at home. Otherwise I’ll worry about how they are doing inside the stadium. But I don’t think the day when my son sees Spartal play live is very far.